We will have a special koji workshop at Healdsburg SHED on 8/27. 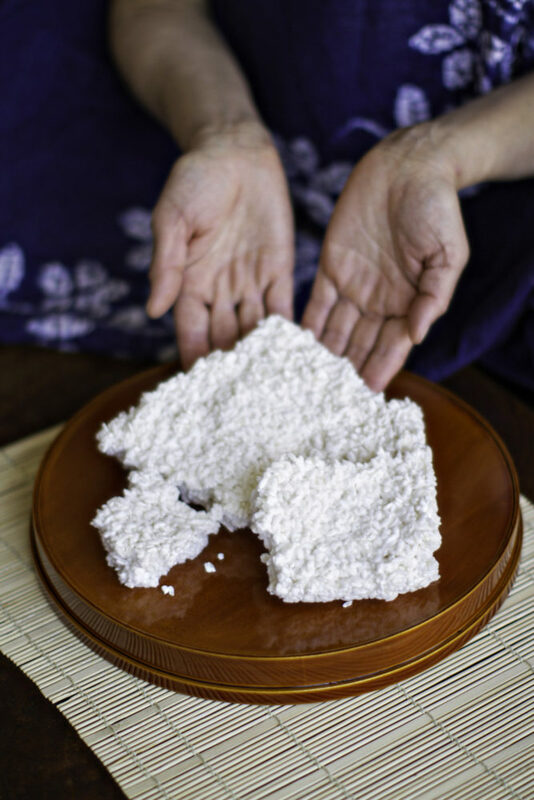 Let's learn and taste koji fermented products ! 1. For centuries, Japanese cuisine has been dependent on a specific mold to produce miso, shoyu (soy sauce), and sake. This mold has a very formal name; Aspergillus oryzae, but to us, it’s simply called koji. Western chefs have finally discovered what Eastern chefs have known for hundreds of years, that koji makes everything it touches taste delicious. 2. The tasting samples will cover Shio (salt) Koji marinaded foods, a thick and creamy non-alcoholic sweet koji called Amazake, and Sagohachi Koji Pickles that taste incredible. We will pass out recipes and more detailed explanations on all of this. 3. First we will taste four kinds of miso and learn how to taste the differences between them. We will then make small batches of miso to take home with you. The ingredients are soy beans, rice koji, and salt. In half a year you will be able to use it for your own cooking! Miso soup , rice ball, pickles, Tofu dengaku ( Miso amazake sauce), Amazake desert. Join Mariko Grady, founder and entrepreneur of Aedan Fermented, at SHED to explore traditional Japanese fermentation techniques. Japanese-born Mariko makes and sells live-cultured fermented products, preserving the culture of Japanese traditional fermented foods from her San Francisco kitchen. In this workshop, Mariko will speak about the close connection to nature in Japanese culture and how this influenced the development of fermented foods. She will also teach about the health benefits of koji and miso and how to integrate them into delicious recipes. Participants will make their own batch of miso and pickled vegetables to take home and will receive 10% off retail purchases at SHED the day of the event, perfect for stocking up on Japanese cookware and pantry items.The workshop includes a simple Japanese home cooked lunch of miso soup, shio koji chicken and miso rice balls.